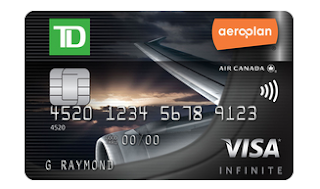 As you may have seen on the main Rewards Canada site yesterday, the details of the new TD Aeroplan Visa Infinite Card offer were released. The new offer is no longer first year free but does come with a 50% rebate on the first year annual fee. You'll earn 15,000 Aeroplan upon first purchase, then 10,000 more for keeping the account open and active and in good standing for 90 days. The key word there is active which we take as meaning you actually have to using the card not just keeping it in your wallet. You can even collect 5,000 more miles for a total of 30,000 miles if you add a supplementary card for $50. Of course if you have a TD All Inclusive banking plan you don't have to pay those annual fees. We had a post late last week saying to grab the TD Aeroplan Visa Infinite Card since it was losing its first year free offer with the same bonus offer. We read some of the information provided incorrectly on the bonus. Yes it is no longer free with only a 50% rebate in the first year however the sign up bonus is not 15,000 stated but rather the potential 25,000 miles as mentioned above. For some of you this is a better deal as those additional 10,000 miles along with the $60 annual fee in the first year are worth more than paying no annual fee and only getting 15,000 miles while for some of you no fee was still the way to go. If you applied for the old offer over the weekend and would rather pay th $60 to get the additional 10,000 miles we recommend calling TD to ask them to be considered for this offer and if they don't then when you get the card do not activate it, cancel it and reapply for the new offer as by not activating you are not accepting the bonus on the first purchase and are not subject to their 6 month rule.